Home » The Value Proposition Behind Cord Blood: Is it Your Time and Money? Medical services today cost a fair amount of time and resources to acquire. Furthermore, patients are expected to pay these fees upfront in order to get the most out of them. This is the reason why a huge number of individuals today often feel reluctant to make use of a variety of medical services that are available to them. One of them can be found in the form of cord blood banking which is pretty foreign to many. Let us look at some of the factors revolving around cord blood and see if their benefits will be able to outweigh its cost. Why Consider Cord Blood Banking? The question “is cord blood worth it?”, is a popular enquiry people are meaning ask to others. This is because the practice itself has been growing in popularity with it receiving their fair share of the spotlight over the years. It should be noted that people consider cord blood banking for a number of reasons. First of is the value of stem cells which have become a key component in a number of procedures. Stem cells found in cord blood are known to be very potent in repairing tissues, organs, and blood vessels. In addition, the cord blood stem cells have shown very promising results in treating a host of diseases including leukemia and certain cancers, sickle-cell anemia, as well as some metabolic disorders. Stem cells have also been able to lend a helping hand with a number medical research. With their help, new discoveries and breakthroughs were revealed which help paved the way in introducing new innovations and treatment procedures that were not possible in the past. This is the reason why there is a growing demand for stem cells and it is good to hear that doctors are able to get more than enough in the form of donations. Storing cord blood does indeed help paved the way in giving people more options on how they are able to treat a myriad of illnesses and diseases. Although the idea behind it is promising, cord blood banking comes with a hefty fee to cover the storage cost and other related services behind them. Clients will need to take this into consideration before acquiring them. The cost often ranges from about $1,000 to $3,000. Furthermore, cord blood banking is considered to be a long term investment since you will not be sure when will be the right time that you will be using them. For that matter, clients will also need to prepare an annual store fee of about $90 to $175 to keep the cord blood in tip top shape. Cord blood has become quite beneficial to clients who have large families. This is because they will be able to use them at any given time when the need calls for them to do so. For smaller families however, cord blood banking is something that will need a few more discussions especially if the parties themselves are on a tighter budget. 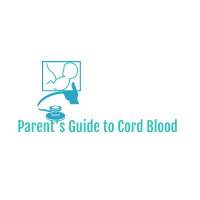 Learn more about cord blood today! Previous post Is Private Cord Blood Banking a Worthwhile Investment?